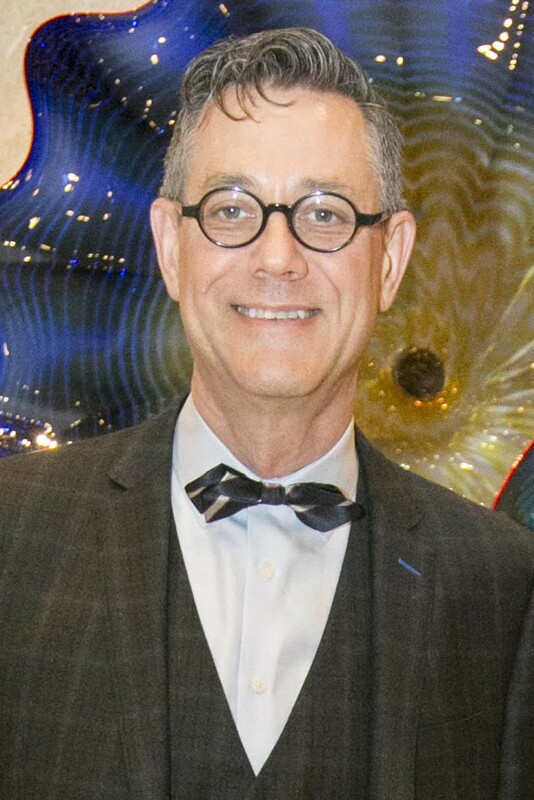 Mark Davis became Director of Summer and Auxiliary Programs for the Idyllwild Arts Foundation in June 2015, and is a member of the IAF President’s Senior Leadership Team. As Director, Mark has increased enrollment, expanded program offerings beyond summer, and enhanced program offerings. He introduced the first online registration and online payment options for Summer & Auxiliary Programs, and consistently has generated revenue for reinvestment in the Idyllwild Arts Foundation. During his tenure as Director, Mark’s scope of work has included playing Queen Elizabeth I in The Merry Wives of Windsor and managing a full-scale emergency campus evacuation due to wildfire. Prior to coming to Idyllwild, Mark worked for nearly 25 years at UCLA, most recently as Associate Editorial Director in UCLA Marketing and Special Events. In that role, he was senior editor of UCLA Magazine, developed the magazine’s tablet-based app, produced video stories, and created a podcast companion to the print magazine. Mark also led various marketing efforts, primarily for Development and Alumni and Family Relations. His work can still be seen in the UCLA Optimists campaign (optimism.ucla.edu) and the Centennial Campaign for UCLA, which launched in May 2014 and will close in 2019. From 1991 to 2013, Mark served in various positions in UCLA Alumni Affairs. His responsibilities there included marketing, communications, event planning, volunteer management, board management, social media, digital marketing and communication, group travel, and member and student services. He also served as executive editor for UCLA: The First Century, the first comprehensive history of the university, which made it into the Top 10 of Amazon’s Best Sellers in History list. Mark launched Alumni Affairs’ first magazine, first website, first e-newsletter, and the first UCLA Alumni Day, which attracted more than 2,000 constituents back to campus in a single year. Additional profession experience includes five years in External Affairs at the University of Cincinnati; contributing writer, FaithandLeadership.com, published by Duke University; contributing editor for Glue magazine; contributing writer for Florida Magazine, Cincinnati Magazine, and The Lutheran; music columnist for The Advocate; and writer and house manager at Cincinnati Playhouse in the Park. Mark has been an active volunteer, including various district and national roles through the years with the Council for Advancement and Support of Education (CASE); two-time delegate to the Churchwide Assembly of the Evangelical Lutheran Church of America (ELCA); six years on the Board and Executive Committee for the ELCA Southwest California Synod; the Hollywood Interfaith Sponsoring Committee; and served on the Executive Board of the First Lutheran of Los Angeles Fund, which managed a $15 million endowment. Mark served on various committees and as a singer for 16 years with the Gay Men’s Chorus of Los Angeles. Since becoming a permanent Idyllwild resident in 2015, Mark has sung with the Idyllwild Master Chorale and the Palm Springs Gay Men’s Chorus. Mark lives with his husband, author Eduardo Santiago. Together, they founded the Idyllwild Author Series in 2010, just a few months after buying property in Idyllwild. Mark earned a B.S. in Journalism with concentrated studies in Theatre and English from the University of Evansville, and did his graduate work in Editing and Publishing at the University of Cincinnati.